We thought we understood the statistics about fatal officer-involved shootings in America. One team of investigative journalists, however, suspected even law enforcement agencies were not getting the full picture. They ended up creating a detailed database of incidents and walking away with the 2016 Pulitzer Prize for National Reporting. 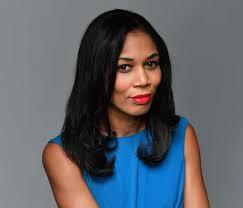 Kimbriell Kelly is a reporter in the Investigative Unit at The Washington Post. She's in Brookings today for a lecture on the topic. We caught up with her last week for a conversation about what was missing in the reporting, how law enforcement leadership has embraced the data, and winning the Pulitzer Prize.